What will your giving go towards? The running of regular CICCU events (almost exclusively university-wide events rather than those in colleges). Most money is spent on our annual events’ week, hospitality at events, and gospels and Christian literature. IFES, in this case specifically supporting students in a closed Eastern European country who are witnessing for Christ. The UCCF, which provides resources for student-led evangelism and discipleship to CUs across the UK.  We give to other CUs in Britain each year for their missions through the CU Missions Fund. There are a few easy ways to give to CICCU. Use Internet or mobile Banking to make a one-off payment or set up a regular standing order. Write a cheque, made payable to ‘CICCU’, and send it to Billy Backhouse (Clare College, CB3 9AJ). Send it via UMS if you’re a Cambridge student! Give by Paypal. They take 1.4% of the donation. If you are a UK taxpayer, you can make your donation go further by filling in a GiftaAid form. Gift Aid allows us to claim an extra 25% on top of your donations, at no cost to you. This applies for both standing order and one-off payments.